Happy Easter to all of you celebrating this Sunday. It was Spring Break this week for my kids, so we did lots of running around and had a foodie overnight in New York City that I will write about once the celebrating ends and the kids get back to school. I wanted to share some of my family's favorite Easter foods. 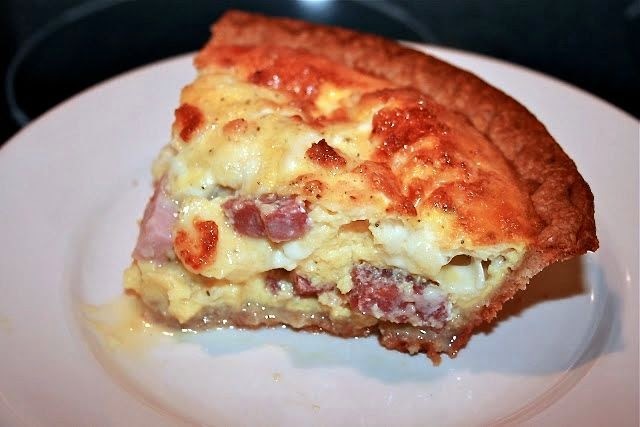 Pizza Rustica I have been making since I was a little kid. Egg drop soup was always a staple at my grandmother's house and one of my aunt's always should up with a homemade rice pie. 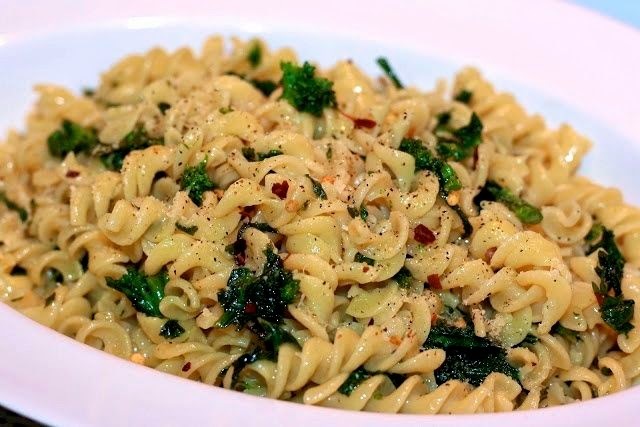 On Good Friday we tend to have a very simple vegetarian dish, most typically Good Friday Pasta. Enjoy your time with family and friends this Sunday. 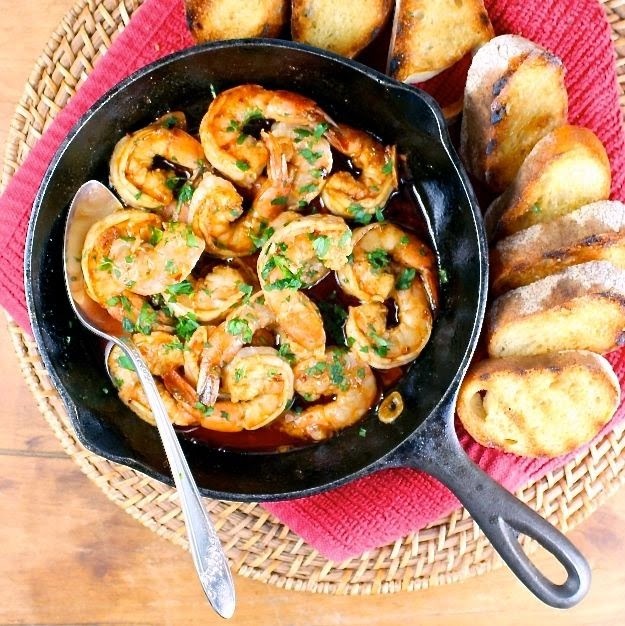 Really simple to make a great appetizer or put over pasta... terrific flavors. Lisa has brought sweet potato fries to a new level by panko breading them and enhancing them with Southwest spices... awesome. 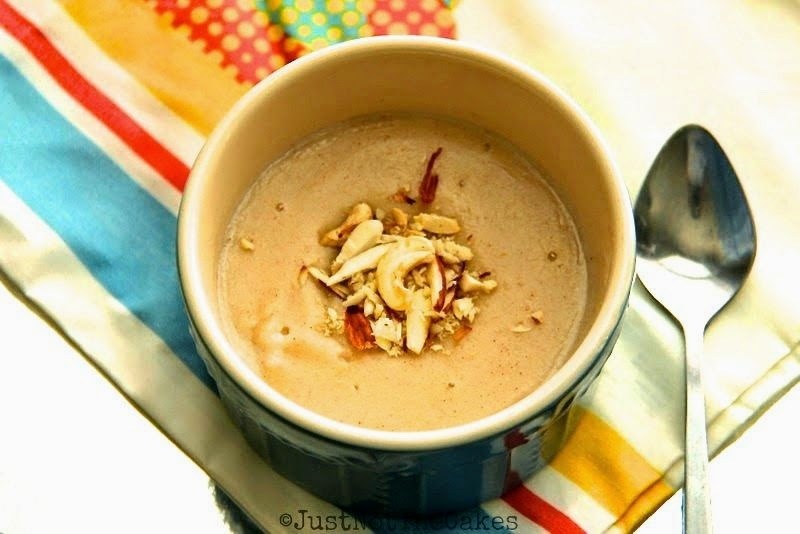 This dessert is simple to make, exotic and gluten free. 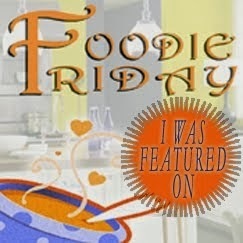 Follow Simple Living and Eating's board Foodie Friday Posts on Pinterest. We visit all posts and comment on many. We also Pin and Tweet! Diane I remember that pie, it still looks delicious! Thanks for the party - have a great weekend. I can't wait to try your Rice Pie, that looks so good. Wishing you and your family a very blessed Easter and thanks so much for the party! I hope you enjoy it. Happy Easter to you and your family too Miz Helen. You are one of the people that makes blogging fulfilling. Wow, what an awesome Easter feast of recipes Diane! They all look so delicious, I want to try them all. 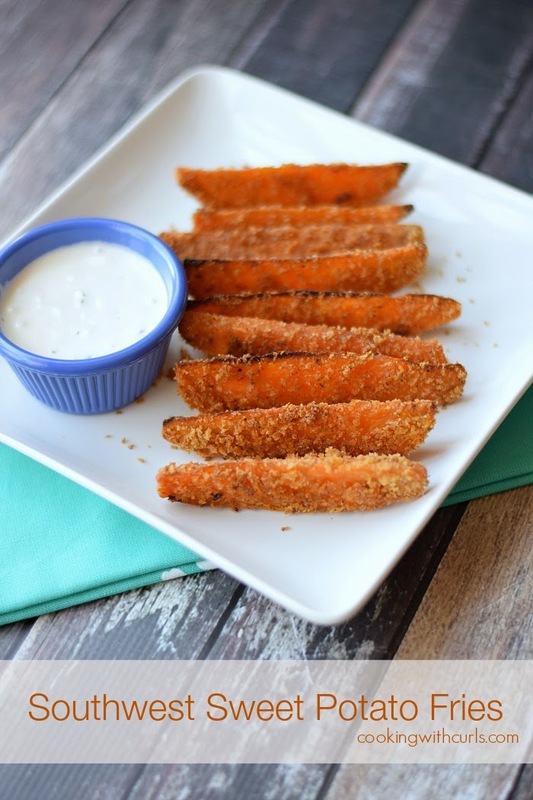 Thanks so much for featuring my Sweet Potato Fries, such a fun surprise. :) Have a wonderful Easter!! You are so welcome Lisa. I will be pinning and tweeting them this week too. Love the seasoning and the panko flakes. Happy Easter. Happy Easter Jamie... always good to see you. Love all the Easter recipes. I don't have anything to share this week but thanks for hosting. Happy Easter. So glad you visited. Happy Easter Annamaria. You are welcome Ashlyn... good to have you here. Thank you Diane for the party! I was just in NYC... so much wonderful Passover food. Good holiday to you too. Diane, your foodie overnight in the city must have been a blast with the kids. NYC has the best food in the world. Thanks for hosting and I wish your family a very blessed Easter. We went to some great restaurants. I will get a post together about it soon. Happy Easter to you too Sam. Thanks for always visiting. Thanks so much for the party, Diane. Your Easter dishes look scrumptious! Enjoy your weekend with your family. I hope you have wonderful weekend too. Thanks a bunch for the great party Diane. Have a wonderful weekend! Have a wonderful weekend too Nancy, good to see you. Hi, Diane. No posts for me this week. Just wanted to stop by, check out the links, and wish you and your family a Happy Easter. I'm so glad you are back in the groove of stopping by Michelle. Happy Easter. I'm getting the pictures together now. Blessings to you too dear Catherine. rice pie? I've never heard of that. Glad you enjoyed your trip. Have a great weekend! 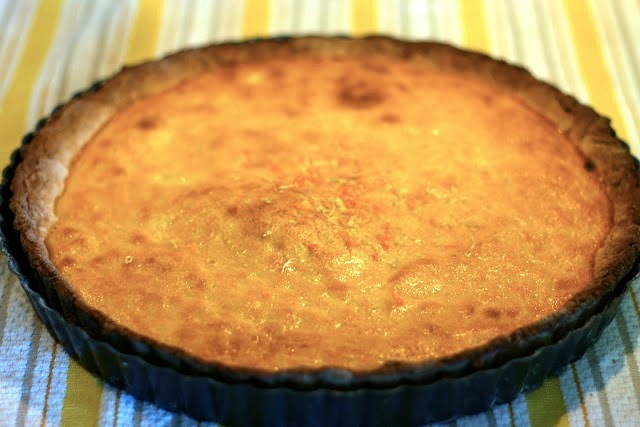 Very Italian rice pie... we also make a wheat pie, both very good if done well. Happy Easter Adelina. Thanks for hosting. Wishing you a beautiful weekend! Thanks so much... it looks we are having a beautiful weekend. 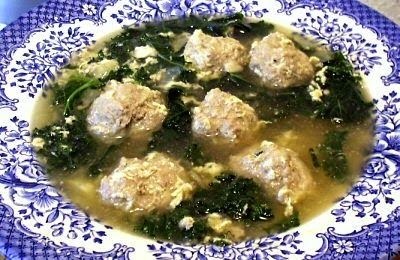 A wonderful collection of recipes! Hope you are having a great weekend and thanks so much for sharing your awesome recipes with Full Plate Thursday. Thank you for sharing your lovely family Easter recipes and traditions with us at the Hearth and Soul hop, Diane. I especially like the look of the Rice Pie! I love your Easter recipes. Thanks for linking up at #GetHimFed Fridays. I'm featuring your post.